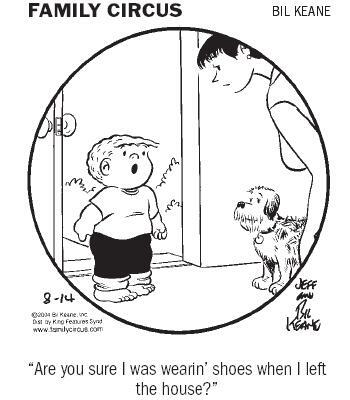 Today’s comic comes from Bil Keane’s Family Circus. It’s dated August 14, 2004. This is a joke that I’ve seen over and over again in various other comic strips. But there’s nothing wrong with that. In my last blog entry, my son and I were touring Lehman Caves at Great Basin National Park. But that was in the morning. So in the afternoon we went out hiking. Here’s our comic for today. It was published on November 8, 1967. It features The Ryatts. Our next stop in our trip out west: Great Basin National Park. This sits in Nevada near the border with Utah. We left out campground at Craters of the Moon on June 25th and it was a good 7 hour drive . . . through a lot of nothing. 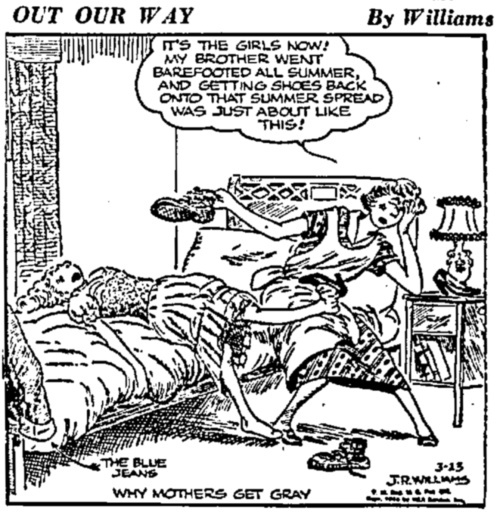 For our comic today I’ve gone back to March 23, 1953. It’s from Out Our Way by J. R. Williams. It’s that time of year when kids are going back to school (it started last Thursday around here—Yikes!). I guess they had different problems back then. After leaving Yellowstone we headed to Craters of the Moon National Monument & Preserve. We were there for about a day and a half (2 nights): June 23 and 24. Let me finish up writing about the hike at Yellowstone to Fairy Falls, Imperial and Spray Geysers, and Sentinel Meadows. This was on June 22nd. By the way, I don’t usually break up hike descriptions into separate posts, but on a trip like this, some of the hikes generate so many pictures it makes sense to do so.